A few thoughts of then and now…. When I was a lad there was an electrical junk shop in Brentwood and some of us boys used to go there after school. I suppose working electrical items were for sale, but we foraged for old capacitors and transformers and other bits. We built things from the bits, such as power supplies for our army surplus equipment. Now, every component we need is small and comes in a small plastic bag. We did have small plastic bags back in the Sixties of course. I bought silicon rectifier diodes in them for the aforementioned power supplies. However, I miss the junk, and having to send off for new everything, even though it is cheap and easily obtainable from eBay. It is just not so much fun, though. 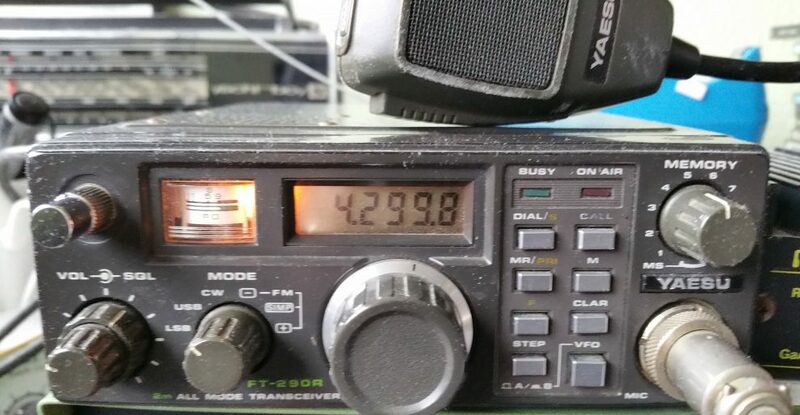 One of the biggest changes for one who has been absent from amateur radio for so long is the changing to the system, such that there are three tiers of licence, Foundation, Intermediate and Full. I can understand that people need to be encouraged into our hobby. After all, there are so many other geeky type things to do, the SWL path so many of us followed is not there in the same way (“hello to the listeners”) and broadcast DX is less abundant. That was a useful indicator of conditions. OK, the May 1975 RAE I passed was jolly hard. I have a pdf copy of it now. I did a full year of evening classes at Southend Technical College to get it, too. Whatever happened to my teacher, Charlie G8GUO? The other major licence change is allowing all licencees to venture onto the HF bands, or at least nearly all the bands below 144 MHz in frequency. That seems harmless; even sensible with the abolition of the Morse test requirement. Anyway, I served an apprenticeship on 2 metres and 70 cms, and learned how fascinating those bands were with exciting propagation; tropo, aurora and Sporadic E. I passed the Morse test in 1981 simply to work more DX on 144 and above. However, no one seems so interested in the higher frequencies when they can work longer distances on the lower ones using a piece of wet string as an antenna. These newcomers do not know what they are missing. I am not sure I am very interested in digital repeaters. Repeaters have their uses for mobiles and for local social ham gatherings. Weak signal work using digital modes is another interesting ballgame though. As an ex-high-speed Morse enthusiast for meteor scatter this sounds a fascinating possibility. I am not a total Luddite, you see, and am quite good at software techie stuff. I may need some help of course. What is amateur radio, then? It is not one hobby but many, or it is an umbrella term for many different niches, and many more than it used to be. Assuming we stick together and hold our territory when so many other forces vie for our bits of the electromagnetic spectrum, we should be OK. Let’s not be complacent, but use it so we don’t lose it, especially above 30MHz.